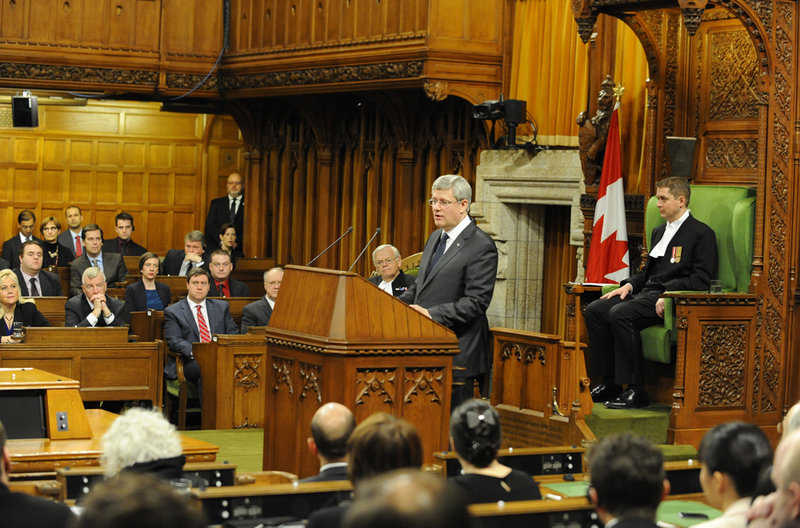 The Right Honourable Stephen Harper, Prime Minister of Canada, welcomes His Highness the Aga Khan in the House of Commons before a gathering of Senators, Members of Parliament and distinguished guests. 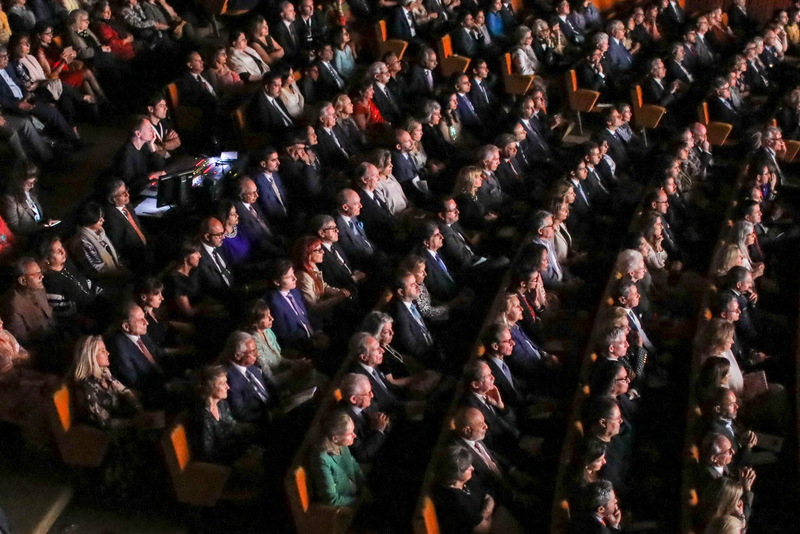 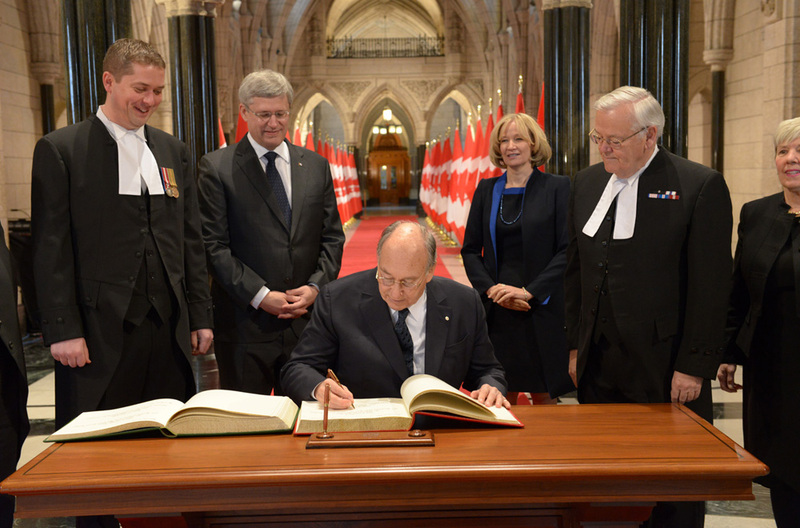 His Highness the Aga Khan delivers a historic address to a joint session of the Parliament of Canada on 27 February 2014, at the invitation of Prime Minister Stephen Harper. 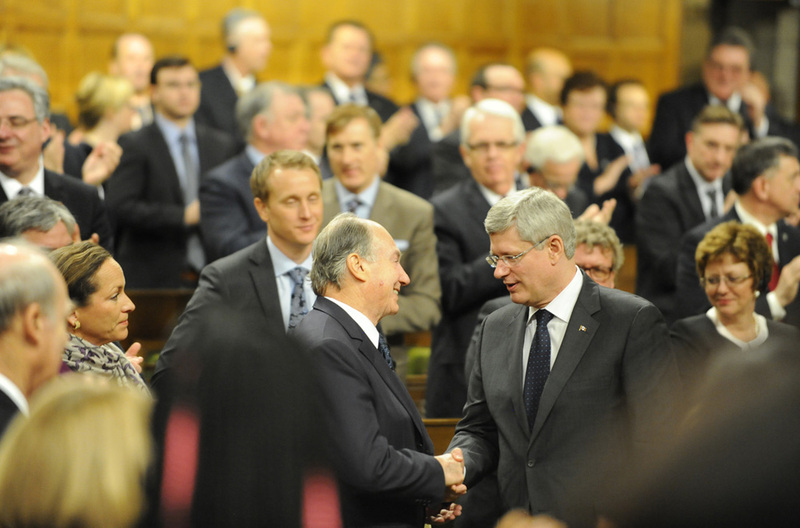 Prime Minister Stephen Harper shakes hands with His Highness the Aga Khan at the conclusion of the Aga Khan’s address to the Canadian Parliament. 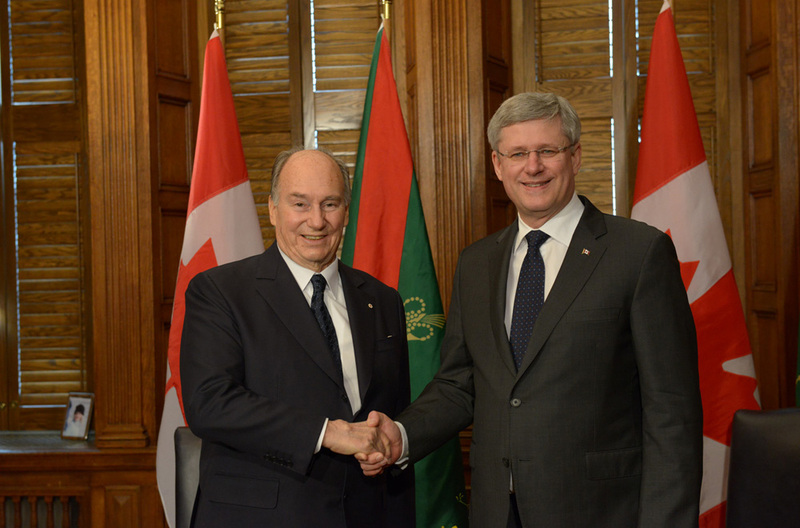 His Highness the Aga Khan and Prime Minister Stephen Harper meet in the Prime Minister’s office ahead of the Aga Khan’s address to the Canadian Parliament. 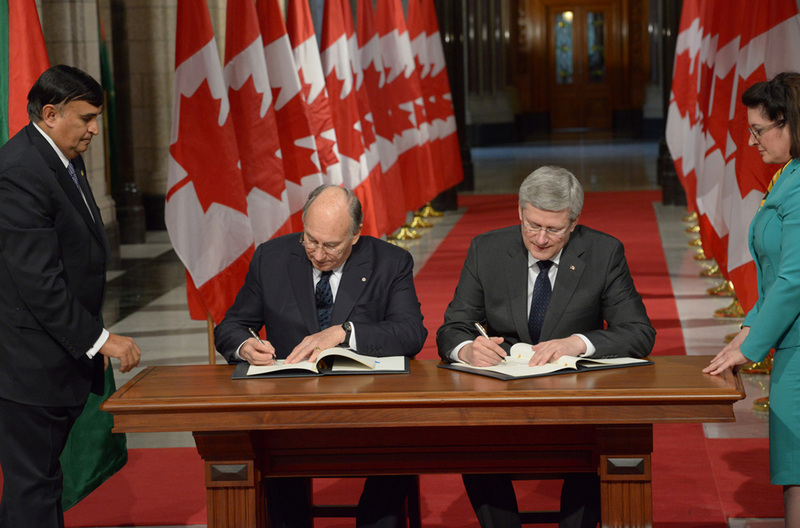 His Highness the Aga Khan and Prime Minister Stephen Harper sign a Protocol of Understanding between the Ismaili Imamat and the Government of Canada in the Hall of Honour at the Canadian Parliament. 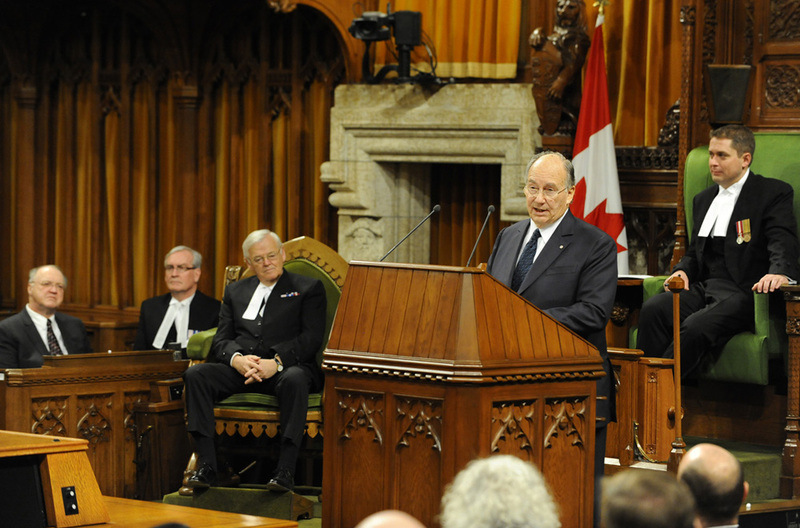 Ottawa, Canada, 27 February 2014 - His Highness the Aga Khan delivered a historic address to a joint session of the Parliament of Canada in the House of Commons today.